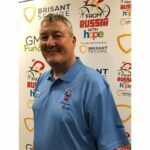 Following the recent launch of the next GM Fundraising Cycling Challenge, ‘From Russia With Hope’, Gary Morton, founder of GM Fundraising, talks about the epic challenge the team will be facing next year and the decision behind the announcement that this will be the very last ride. 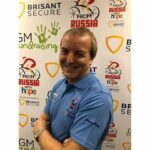 On 6th September, the National Cycling Centre in Manchester played host to the launch of GM Fundraising’s next and final cycling challenge, ‘From Russia With Hope’. The team, many of whom are GMF cycling veterans, gathered to learn the extent of the challenge they had so willingly signed up to. Gary explains more about the challenge: “The team will be covering in excess of 280 miles each day as they cycle from St Petersburg, Russia, through Finland, into the Arctic Circle, through Sweden, Denmark, Germany, Holland, Belgium, France, England and Wales, before returning into England and their final destination of Hope House in Oswestry. While the amount of climbing seems meek compared to some of our previous rides, the reality is that 70% of this will take place in the last two days as the team cycle through England and Wales – anyone who has ridden the Shropshire hills will know this is a challenge in itself. 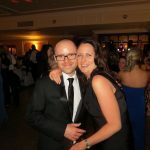 As with all GM Fundraising events, every person taking part covers their own costs, so every penny raised will go directly Hope House to support their care of life-limited children and their families. 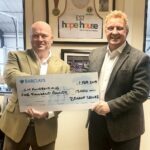 GM Fundraising commenced their charity cycle rides in 2005 with Top2Bottom, which saw a team of 10, including current riders Alan Rothwell, Alan Sadler, Graeme Bailey, Gary Torr and Gary Morton, cycle 974 miles from John O’Groats to Land’s End over 13 days and raised over £51,000. ‘From Russia With Hope’ far exceeds this challenge and it’s amazing to think how far they have come. 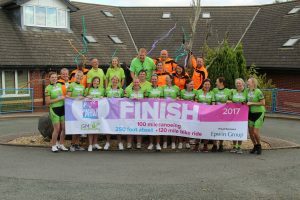 Gary comments: “Since this inaugural event, further international fundraising rides have taken place culminating in 2016’s Border2Border – the ‘Toughest Yet’, which saw 18 riders’ cycle 2,111 miles from Canada to Mexico, tackling offering up 97,295 feet of climbing and temperatures in excess of 45 degrees and raising £195,766.92 for Hope House Children’s Hospices. 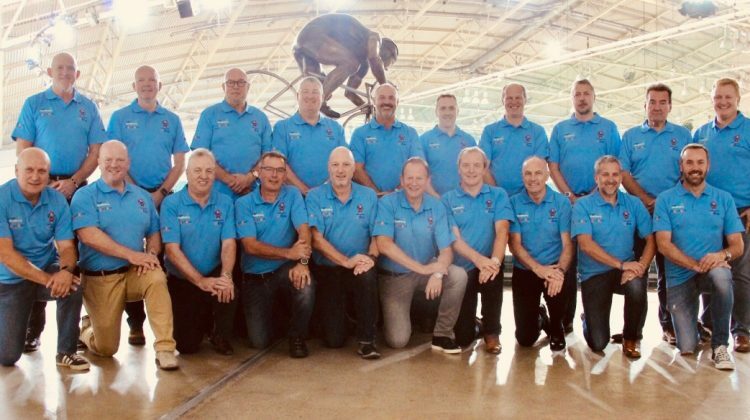 We are delighted that 19 members of the Border2Border team are returning for this challenge, particularly as many of them were GMF challenge virgins last time. Ask anyone that has ever taken part, be it cycling or support, and they will tell you that although the challenge is unreal, the shared experience and camaraderie is unrivalled and perhaps even a little addictive. It certainly cements friendships for life. 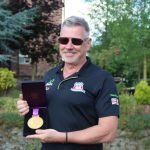 “‘From Russia With Hope’ is the 7th and final major cycling challenge for good reason: Aside from the immense amount of work in planning and executing these rides, each time we must exceed the last, both in challenge and funds raised. That is no easy task. From the initial concept, planning the route and the logistics takes months, and that’s before you have even completed the risk assessments! Safety is our top priority and every detail has to be planned to the nth degree. 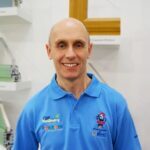 While Glyn is the only new rider, they also welcome Tim Ferkin of Caldwell, and Alan Rees of Panoramic Doors to the support team alongside stalwart’s Paul Godwin of Vast PR, Bob Plant and Mighton Products MD, Mike Derham.